Popular Grove teacher Laura Lavery (left) with Ansley Brown's father, Taft Brown, Ansley, mother Kristen and Rachael Overall of Goodall Homes. Poplar Grove Middle Schools celebrates Pride Time each month to recognize students in all aspects of school, whether it be choir, Beta club or athletics. 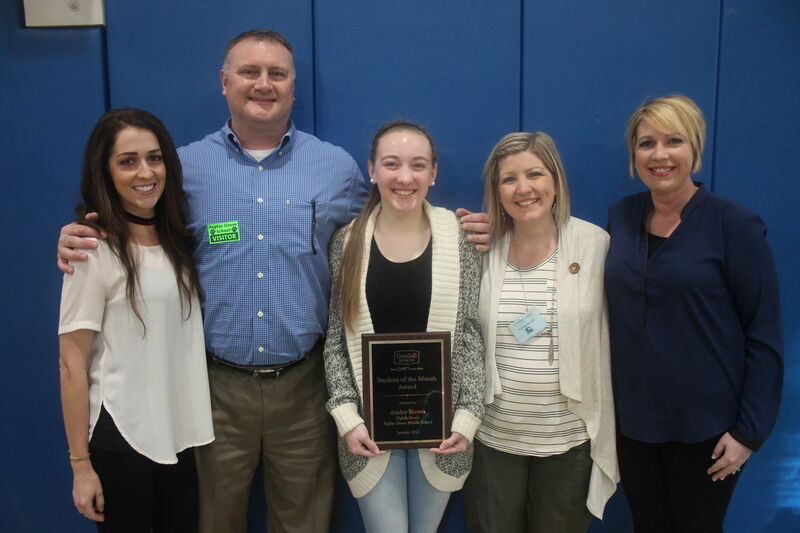 On Friday the student body was surprised when an announcement was broadcast that the school would honor a special student with the Goodall Homes Student of the Month award.